It's powered by a liquid cooled 125cc single cylinder engine which makes 14.8bhp at 10,000rpm and maximum torque at 7,700rpm. 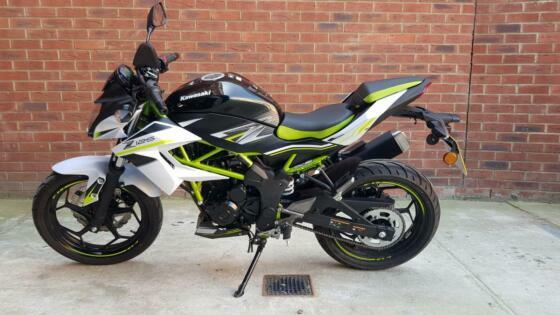 The model looks to be based heavily on the A2 friendly Z250SL and there's a sports version available in the £4,400 Ninja 125 which has a 30mm lower seat and is 2kg heavier. The 17" Y-spoked wheels take a 100/80 tyre at the front and 130/70 at the rear. Accessories include the Arrow silencer, gear position indicator, pillion seat cover, low seat (-25mm) and tank pads.